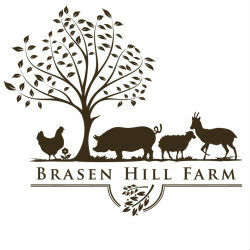 We are a diversified farm in Barrington, NH. We use sustainable and environmentally responsible practices to grow vegetables for our Vegetable CSA, farm store, and farmers markets. We also raise grassfed beef, lamb, and goat, and pasture-raised, GMO free rabbit, chicken, pork, duck, turkeys, and fresh eggs. Our farm store is open Wednesdays, Thursdays, Fridays, and Saturdays from June through October. SNAP welcome at farm store. A wide variety of vegetables, including carrots, beets, tomatoes, heirloom squashes, peppers, lettuce, chard, kale, onions, garlic, brussels sprouts, leeks, sweet potatoes, and much more! We offer a June - October Vegetable CSA here at our farm in Barrington, NH. You can choose from three sizes, and we have flexible pickup days and hours on Wednesdays, Thursdays, Fridays, and Saturdays 11:30am-6pm. We also offer the option to pay for your share in installments.